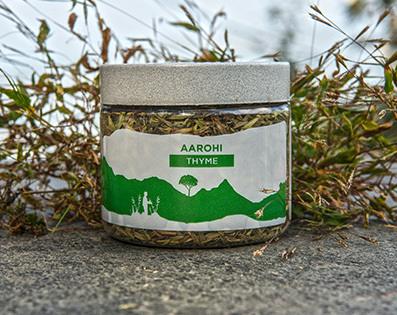 Thyme is very much a summer herb, producing its strongest fragrance under the hottest sun. It is valuable in treating coughs, colds, chest infections, sore throats, cramps, colic, diarrhea, poor digestion and loss of appetite. Herbalists recommend thyme tea to relieve headaches to cleanse and balance the bowel and bladder and to tone the reproductive system. It is stimulating to the circulatory and immune systems and an excellent nerve tonic, helping to lift depression and relieve tension.